PAN card is a permanent account number provided by Income Tax Department to the indian income tax payer. The purpose of permanent account number is to make universal identification of financial transactions and prevent tax evasion. PAN is the unique identifier of Indian income taxpayers, the card number in the form of XXXPL1234C. The first three letters are a sequence of alphabets. According to TheIndiaQuest PAN card is not compulsory for every indian people especially if you not engage in a large financial transaction and do not file an income tax return. But you can also get PAN card even if you do not file a tax return. IT Returns Filing: Who are eligible for Income tax are expected to file their IT returns. 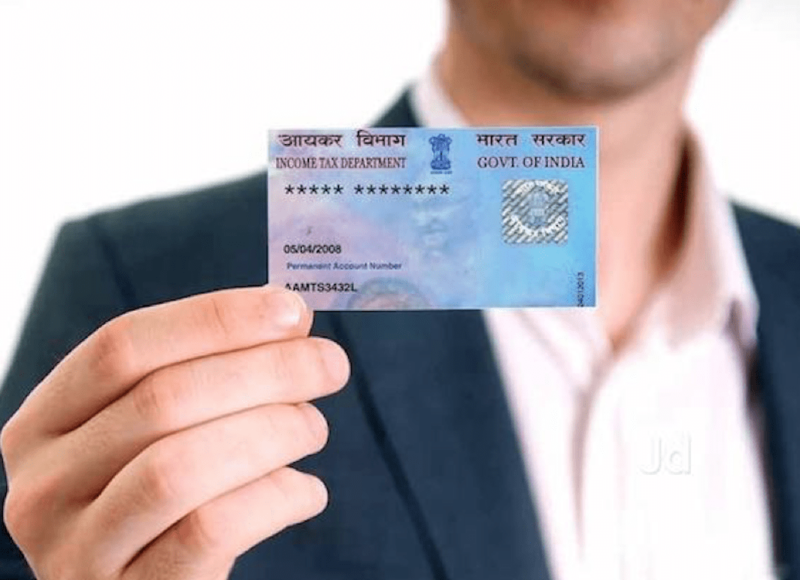 A PAN card is necessary for the filing of Income Tax returns. Buying or Selling: If you want to buy or sell some stuff worth more than Rs. 5,00,000 then you need to provide PAN card during the transaction. Opening New Bank Account: You can also use PAN card as an identity proof during the opening of a new bank account. Now PAN card is compulsory during opening a new bank account whether it is current or savings account. Apply for a Credit card or Debit card: If you wish to apply for a new debit card or credit card then compulsory you need to submit PAN card details. If you did not submit this details then your card is no issue. Proof of Identity: You can use PAN card as a proof of identity during applying for a new passport, driving license, voter ID, etc. Purchase of Jewelry: If you purchase jewelry of over Rs. 5,00,000 then you need to submit PAN card details during the time of purchase. Foreign Exchange: For exchange your indian currency to foreign currency you must need to provide PAN card details. Fixed Deposits: When you invest your money into Fixed Deposit amount of Rs. 50,000 or above you will have to provide PAN card. To start a new business. If you wish to buy & sell a property, open investment account. For transferring funds from NRE to NRO account. PAN is accepted as a proof of identity because it carries your name, signature, address & photograph. In case if your card may get lost or stolen then don’t worry you can easily download pan card online and your PAN number will remain unchanged. You can easily operate a minor account with the PAN card of the guardian. Easily do financial transactions, purchase new landline and cell phone connection, open a demat account and buy & sell property. A PAN card is a very important proof in india that can help you gain access to many services of government. If you don’t have a PAN card then you can easily apply for a new card online.